This is the second of two posts spotlighting our Top Contributors. Read part one here. - Ed. If you’ve ever asked a question about a Google product in the Google Product Help Forums or on Twitter, chances are you’ve encountered a Top Contributor—passionate Google product experts who enjoy sharing their knowledge with their fellow users. We introduced you to two of the super users in this program yesterday, and now we’re shining a spotlight on a few more. If you’re interested in becoming a Top Contributor, start participating in a Google Product Forum or on social media, and let us know you’re interested. 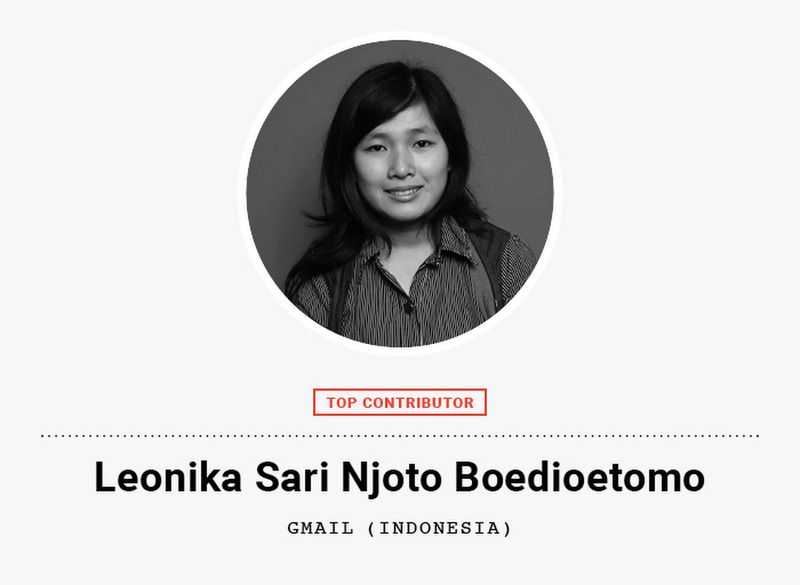 Leonika Sari says: I’m a developer and founder of the startup Reblood, which aims to awareness and promote blood donation in Indonesia. But in my downtime, I help people regain access to their Gmail accounts. Imagine not being able to access your Gmail or finding out your account was hijacked—it’s quite scary! I like helping people get back into their accounts so they can continue living their life. Answering posts in the Google Product Help Forums has also taught me a lot about how to run my startup. It’s shown me the importance of listening and replying to users. Google treats every piece of user feedback as a useful resource to improve the product—which inspires me to pay more attention to feedback about my own product and quickly turn that into product improvements. I also see parallels between the community of volunteers in the Top Contributor program and my own company Reblood’s community of donors. It makes me happy that I can help people, even those I’ve never met. José says: ​I work in the Systems and Education Innovation Department for Colegio Alameda de Osuna in Madrid. My son, Jorge, is studying psychology at Universidad Autónoma de Madrid. We’re both passionate about helping and are members of the Top Contributor Program. 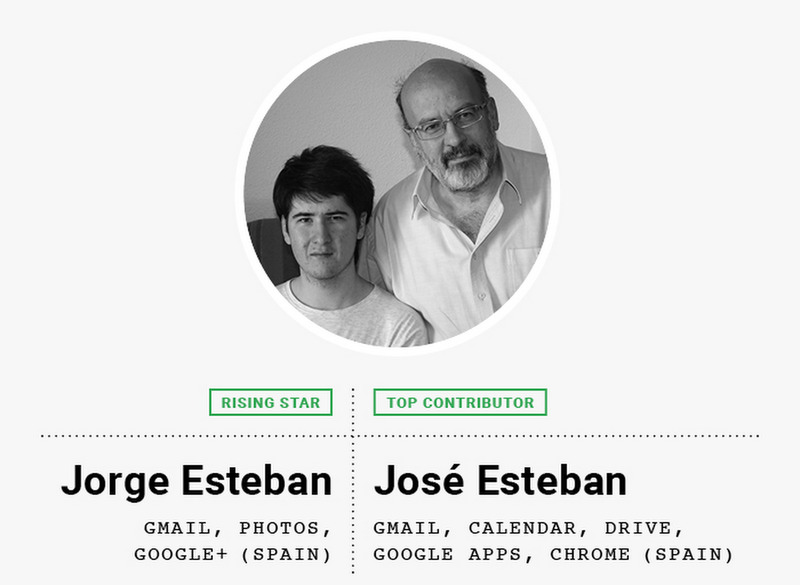 I’m a TC and Jorge is a Rising Star, the entry level into the Top Contributor program. I was the first one to discover Google Product Help Forums. Helping people in the forums is very similar to teaching. It allows me to do something I like—teach—while enabling me to reach a much larger number of people than I would in the classroom. Plus, I get to learn more about tools I use in my job on a daily basis. Jorge says: My dad told me about the forums last summer when I was off from school. I thought I’d give it a try and now I’m hooked. I like it because helping others makes me feel good. When I was first starting, my dad would help me by suggesting solutions or showing me other ways of answering a question. Now that I’m back in school and busy with classes, the Top Contributor program helps us stay in touch. In fact, I think it improves our relationship. 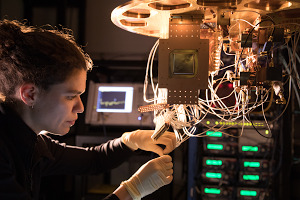 The Top Contributor program has brought us many great connections. The forums bring you closer to people, whether it’s through the questions you answer or the motivation to help that all the TCs share. And those bonds are something I wouldn’t change for anything.